Physicians: All of our physicians are board certified orthopedic surgeons dedicated to the prevention, diagnosis and treatment of diseases and injuries of the musculoskeletal system. 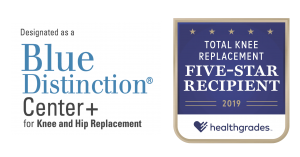 Total Joint Replacement: Our physicians have helped to develop a nationally recognized and award earning total joint replacement program at Labette Health. The comprehensive joint replacement program for knees, hips, and shoulders provides a team-focused approach for educating patients on what will occur before, during and after joint replacement surgery. To provide a quality experience, the program integrates efforts between patient and family, surgeon, anesthesia, nursing, pharmacy, and therapy. Minimally invasive surgical techniques and state-of-the art post-op pain management round out the program leading to shorter hospital stays, faster recoveries, better outcomes and high patient satisfaction. 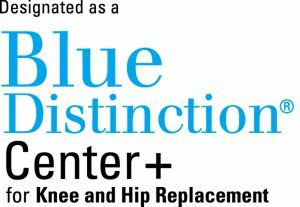 Blue Cross & Blue Shield of Kansas has designated Labette Health as a Blue Center of Distinction for Knee and Hip Replacement Surgery. 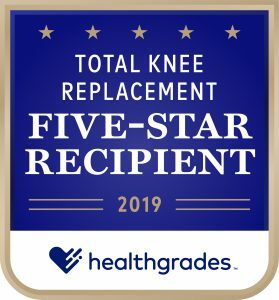 Healthgrades has awarded Labette Health as a Five-Star Recipient for Total Knee Replacement. U.S. News & World Report has recognized Labette Health as one of the Best Hospitals for Knee Replacement. Sports Medicine: Our physicians have been assisting in the care of athletes in surrounding area high schools and colleges for years. They have worked as team doctors to ensure the health and safety of participants at all levels of sport. In addition, they help the “weekend warriors” cope with the effects of aging. Sports injuries are treated both surgical and non-surgical as indicated. Our physicians are skilled in arthroscopic surgical techniques. Arthritis: The bone ends at joints are protected by a cartilage cushion. Arthritis can cause damage to this cartilage leading to joint pain and stiffness. There are more than 100 different kinds of arthritis. The two most common are osteoarthritis and rheumatoid arthritis.There are also numerous other causes for joint pain besides arthritis, such as fractures, nerve damage, circulation problems, infections, and even cancer. It is important not to assume that your joint pain is simply arthritis. Orthopedic surgeons have the most education and training in diagnosing joint pain. Our board certified orthopedic surgeons can give you a proper diagnosis for your joint pain and help develop a treatment plan for you. We have a variety of treatment options for arthritis to help ease your discomfort and allow you to get back to doing the things you want to do. Fractures and Trauma: Our physicians are highly reputable experts when it comes to the care of broken bones. They provide care for both child and adult fractures. They strive to help you recover as rapidly and normally as possible from your injury. Radiology (X-Ray): We provide in-office x-ray services utilizing the latest in high definition computerized digital radiology equipment. This allows us to obtain high quality detailed x-ray images to ensure accurate identification of your injury or condition. Southeast Kansas Orthopedic Clinic employs two full time certified radiology technologists. Work Related Injuries: We provide care for work related injuries. Our office can assist you in navigating through Worker’s Compensation related issues. Durable Medical Equipment (DME): We can provide you with braces and supports for your knees, wrists, shoulders, elbows, and ankles to stabilize and aid in the healing of your injured joint.